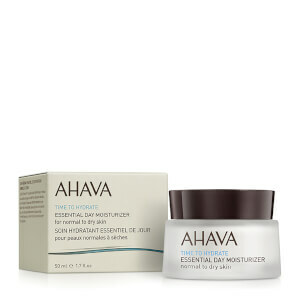 Revitalise and replenish normal to dry skin with AHAVA's Essential Day Moisturiser; a lightweight, quick-absorbing formula that works to restore softness and suppleness without greasy residue. 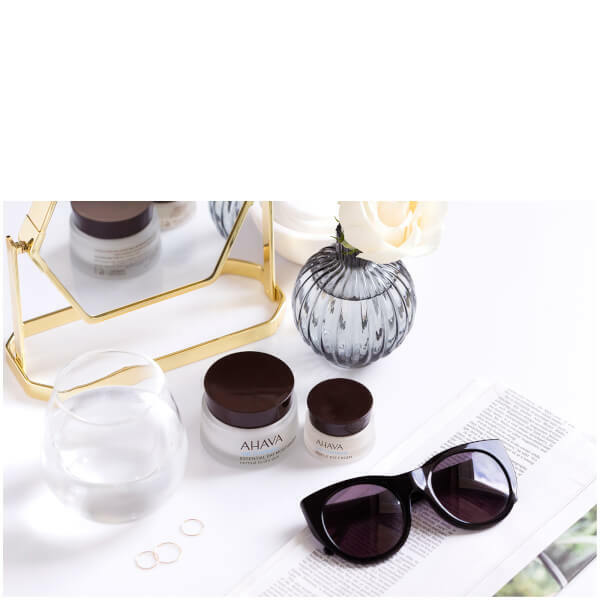 Enriched with Dead Sea Water, the day cream infuses skin with minerals, including Magnesium, Calcium and Potassium, to moisturise and hydrate, whilst its blend of Aloe and Vitamin E provides antioxidant protection to defend against harmful environmental aggressors. Expect a smooth, healthy-looking complexion with renewed radiance and improved texture. Aqua (Mineral Spring Water), Ethylhexyl Palmitate, Isopropylmyristate, Glyceryl Stearate, Cetyl Alcohol, Propanediol(Corn derived Glycol), Alanine & Creatine & Glycerin & Glycine & Magnesium Aspartate & Saccharide Hydrolysate & Urea, Ethylhexyl Methoxycinnamate, Peg-40 Stearate, Sorbitan Tristearate, Caprylyl Glycol & Chlorphenesin & Phenoxyethanol, Maris Sal (Dead Sea Water), Aloe Barbadensis Leaf Juice, Dimethicone, Allantoin, Parfum (Fragrance), Tocopherol (Vitamin E), Butylphenyl Methylpropional, Coumarin, Hexyl Cinnamal, Hydroxyisohexyl 3-Cyclohexene Carboxaldehyde, Linalool.